Lee Han Chul with the Most Ven Dr. Il Bung Seo Kyung Bo and other monks of Jogyesa temple at the founding of the Korean Buddhist Martial Arts Research Institute. The origins of the Korean Buddhist Martial Arts Association stretch back to the genesis of contemporary Korean martial arts in the early 1960's, when a group of young masters gathered together under a common banner (which they termed the “Kuk Sool Hwe” or “Korean Martial Arts Association”) to conduct a thorough and detailed study of their respective martial arts knowledge. This early association was something of a pot luck, most all of the members had learned Hapkido from Choi Yong Sul, in addition to various forms of Chinese open hand and weapon arts, and surviving native Korean methods, the synthesis of which would eventually form the art of Kuk Sool (a short from of Han Kuk Mu Sool, literally “Korean Martial Skills”). Among the early members of the Kuk Sool Hwe, were such luminaries such as Kim Woo Tak (who would go on to found Kuk Sool Kwan), Suh In Hyuk (founder of the World Kuk Sool Association), Lee Joo Bang (founder of Hwa Rang Do), Seo In Sun (founder of Hanminjok Hapkido), and of particular importance to our history Lee Han Chul (who would eventually found Bul Moo Do). 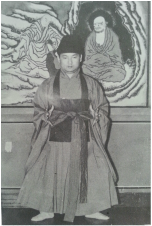 Lee Han Chul in monk robes demonstrating "sohn sahl li ki" or "energizing the hands", an essential component of Korean palm training. Lee Han Chul was a devout Buddhist who spent countless hours studying the methods preserved both in the practices and texts of Korea's Buddhist temples. As the main contributor of Buddhist martial arts practices to the Kuk Sool Hwe efforts, Lee Han Chul is remembered for his extensive pressure point knowledge for both martial and healing applications (ji ap sool), traditional yogic energy forms (bup ki), fan techniques (bu chae sool), and the rediscovery and refinement of Kuk Sool's famed palm striking techniques (pyung soo), which he first demonstrated in 1962 at Kim Moo Hong's Shin Moo Kwan dojang. The Kuk Sool Hwe effort persisted until 1966, when the members disbanded. In the aftermath Lee Han Chul formed his own school of Kuk Sool Won Hapkido (having been one of the original founders of the Kuk Sool Won movement alongside Suh In Hyuk) and opened several schools which flourished. However, by 1968 Lee had begun to separate himself entirely from the Kuk Sool movement to proactively cultivate a form of distinctly Buddhist martial arts. Approaching two of his Buddhist teachers, the famed Masters Il Bung (Most Ven. Dr. Seo Kyung Bo) and Cheong Dam, approval was given and the Korean Buddhist Martial Arts Research Institute (大韓佛教武術研修院/대한불교무술연수원) was founded at Jogyesa temple in Seoul, with the Most Venerable Dr. Il Bung Seo Kyung Bo as its president. By 1973 Lee Han Chul's efforts had begun to fully take shape and his art of Bul Moo Do had distinctly appeared, and Lee was named head of the institute and promoted to 9th dan by the Most Ven. Dr. Seo who then assumed the expanded role of president of the Korean Buddhist Martial Arts Research Association (大韓佛教武術研修會/대한불교무술연수회) as umbrella to Lee's institute and those to come. Though Lee Han Chul had long since settled in South America, and successfully established a Buddhist temple (Dalmasa) and martial arts school, the Korean Buddhist Martial Arts Research Association continued on. By 1981 the name of the association had slightly shifted to the Korean Buddhist Martial Arts Association (大韓佛教武術聯合會/대한불교무술연합회), reflecting the Most Ven. 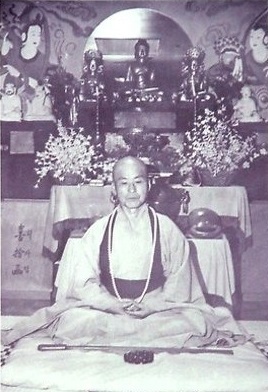 Dr. Il Bung Seo Kyung Bo's focus on dissemination of Buddhist martial arts, rather than pure research and restructuring in the wake of the Japanese occupation of Korean (which ended in 1945), and with the further sanction of Master Chong Yi of the Boemeosa temple in Busan, one of Dr. Seo's senior students and dharma heirs, the Most Venerable Son Hae (James Walker) was named Grand Master of the Association by the Most Ven. Dr. Seo. In April of 2015, after thirty-three years of stewardship, the Most Venerable Son Hae, Grand Master of the Association, appointed his sole dharma heir, the Most Venerable Sunyananda Dharma as the next Inheriting Master of the Association with the rank of 9th Dan. Master Sunyananda's appointment as Inheriting Master by the Most Venerable Son Hae. 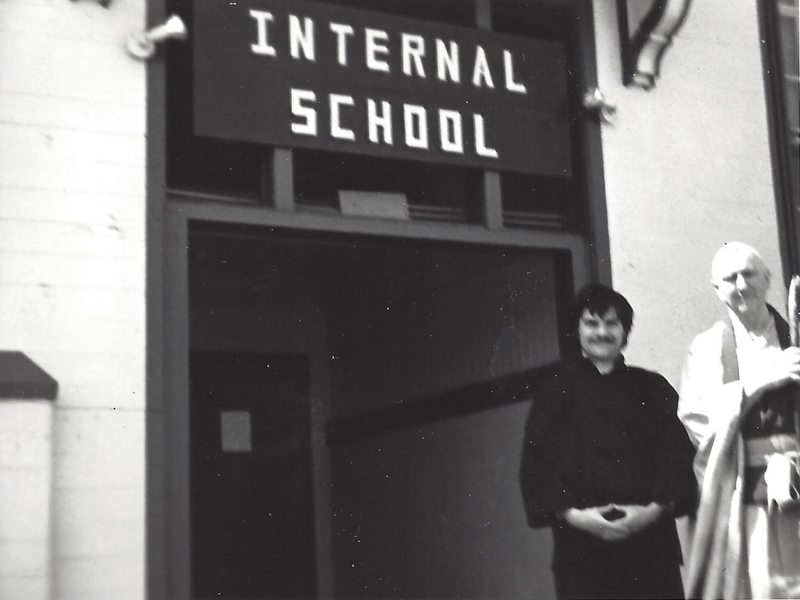 GM Son Hae with another of Dr. Seo's senior students in front of his school in Arcata California, that would become and eventual HQ of the KBMAA.